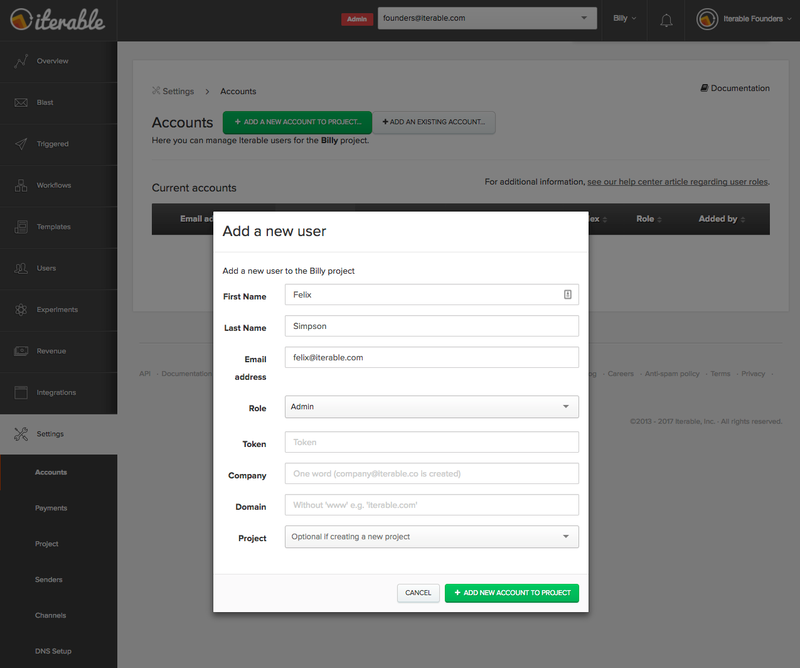 To create a new user click on Settings > Accounts on the left-hand navigation bar. If the user's email does not exist in any other Iterable organization or project, click on Add a New Account To Project. You can add a first name, last name, email address, and role for the user. Token, company, domain, and project are optional. Email addresses are used as unique login IDs and are case sensitive. We recommend lowercasing all emails addresses when creating new user accounts. If the user already exists in another project, you can click on Add an Existing Account and select their account by typing in their email address or selecting it from the dropdown. 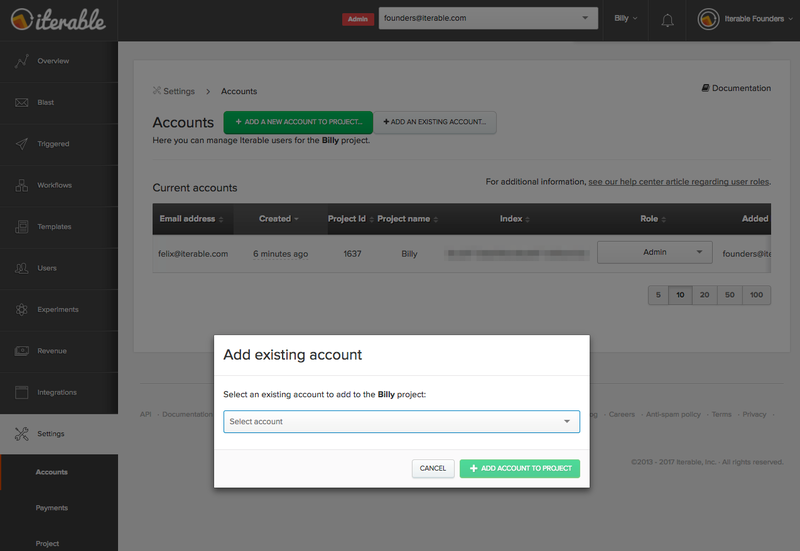 From this screen, admins and super admins can update roles and permissions for current accounts. Note that the account manager role can only be provisioned by an Iterable customer success manager.